I like the idea of one day making a chocolate brown colored rose..too bad I can't get 'Suntan Beauty' in this country to help me achieve such a goal. I'm not sure you can buy 'Suntan Beauty' anywhere nowadays, not 'Twilight Trail' which could be just as useful. lol, 'Twilight trail' is also unlikely to be available here. However 'Angel Face' its mom is available, but a poor option to be considering. Previous advice from you regarding the "death genes" AF carries, makes me think of AF as the angel of death in rose breeding. What a beautiful rose. I don't claim to have any rose knowledge but I do know what beautiful looks like. 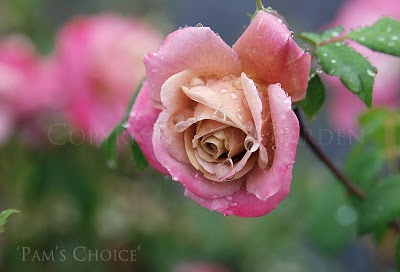 Wish I had this rose in my garden though I don't suppose it would grow in my tropical climate but it is really lovely.